I have never made candy with molds before so it was a fun, new adventure. It was kind of tedious to make sure I didn't overfill the molds and I did not succeed the first 3 tries or so and ended up with fat, lumpy buttons. Ew! But my kids were quite happy to get rid of them for me. And I bought oil-based food coloring instead of many different bags of colored candy melts so I could make all the colors I desired, however I quickly burned out after 3 and did the last batch plain white! It's a lot of work! The bag toppers are available for download on the site and are hysterical...look closely...they read "Guaranteed Delicious" and "fashionable elegant delectable". It's the little details that count. All in all, it was a good time and we only had one misadventure. Apparently, Dennis was quite enthralled with the entire process and decided he would make some just for us to keep at home. 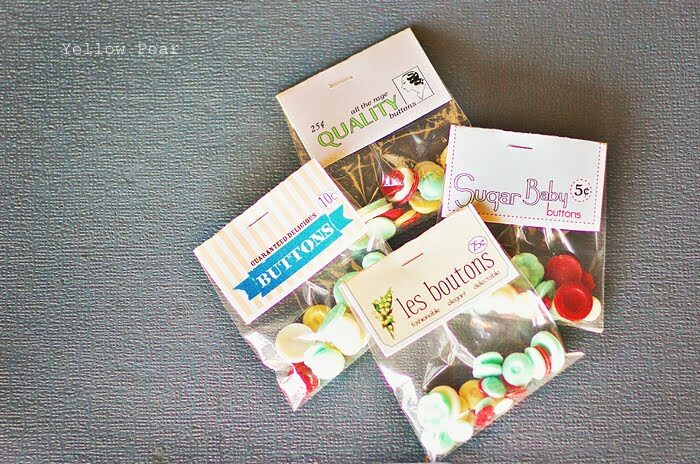 He had watched me put the melted, colored candy in a bag, snip the end and fill the molds. Needless to say, when I found him later, he had a bag full of concentrated yellow food coloring and was proceeding to fill the molds. Awwww the joys. That kid is too dang curious for my own good. 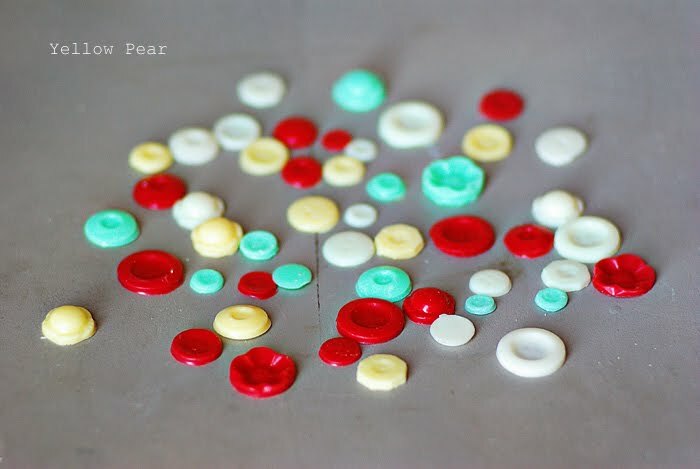 Oh and one last tip...if you do try this, know that the little, tiny buttons are extremely difficult to extract and you just might have a hissy fit during the removal process. Just FYI. Very cute! I love the packaging! That seems like a lot of work, but they're cute. As always, adorable. I love catching up with you on the blog. You are so creative. Oh I feel so special. All that work made you love me even more. :) And just think they saved my life when I was dying of hunger. Thanks for all the extra thought, I loved them!